Walking Things stainless steel earrings available for major cities. Vienna-based design house Walking Things has created a range of earrings based on city maps and has fashioned a pair dedicated to London’s streets. 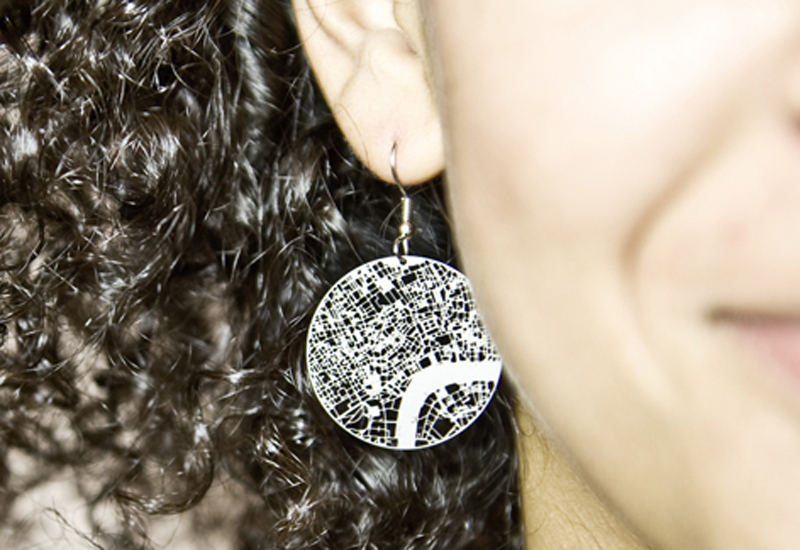 The earrings are based on a map of central London that encompasses Tottenham Court Road, Russell Square, Holborn, Waterloo and Charing Cross. The Thames can be clearly seen snaking across the design. Pairs of Walking Things’ Urban Gridded earrings have been created for most major cities including Amsterdam, Berlin, Copenhagen and Hong Kong. The stainless steel earrings have an RRP of €30 (£25). Walking Things will be showing at Paris show Masion D’Object from January 21 to 25.